The Gulf of Mexico: Our Playground and Yours! Good Time Charters is so lucky to have the Gulf of Mexico as not only our home, but our workplace as well. 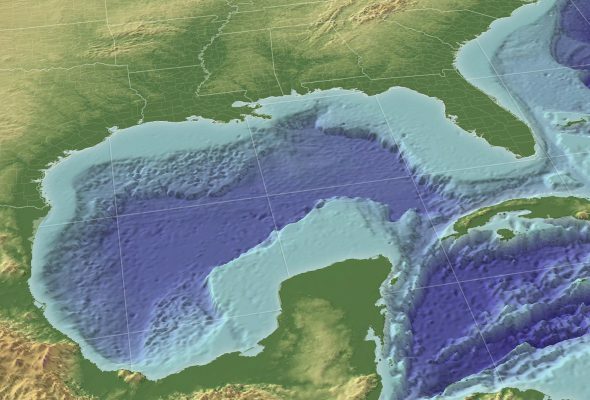 The Gulf of Mexico is the ninth largest body of water in the world and is known for it’s shallow warm waters that teem with wildlife. Think of the Gulf as a large shallow bowl where gentle tidal action and soothing calm surf are the norm. With over 600,000 square miles of water to explore, the Gulf of Mexico is truly one of the world’s most beautiful tourist destinations, and we love showing off our little corner of it right here in Fort Myers Beach, FL! The Gulf is our playground, our workplace and our backyard. From sunrise to sunset, we are offered the pleasure to educate and provide guests with unique, one of a kind experiences in a beautiful area—Fort Myers Beach. Our tours and charters cruise throughout the back bays of Estero Bay and venture to the edge of the Gulf of Mexico. Though we can’t provide you with a tour of all 600,000 square miles, we are more than happy to highlight a few interesting and eye-opening facts about this immense body of water, home to a number of habitats and ecosystems. Although Amerigo Vespucci is credited as the first European to “discover” this body of water, the ancient peoples who populated the shoreline lived here for many thousands of years before Vespucci’s arrival in 1497. With over 750 wrecks on the bottom of it’s floor, the Gulf of Mexico has been one of the richest sources of income for the wrecking industry, which had its capital in Key West. This tropical metropolis was once the richest city in the United States. The heavy storms over time have wrecked many a ship and the wreckers out of Key West would go to excavate as much as they could given the technology at hand. The most important treasure that is hosted in the Gulf of Mexico is the abundant wildlife that call this region home including mammals, birds, reptiles, not to mention the different species of shark and sea turtles. The sargassum seaweed alone floating on the surface offers shelter for endless numbers of sea life. You can enjoy everything that we do when you join us for one of our fun and informative water cruises. Fishing, shelling and sunset cruises are our pleasure and we know you will enjoy them as well! We offer the most comprehensive tour in Southwest Florida. Our captains and guides share our love for our natural world here and we want to share this with you!